What do surfers do when there are no waves? 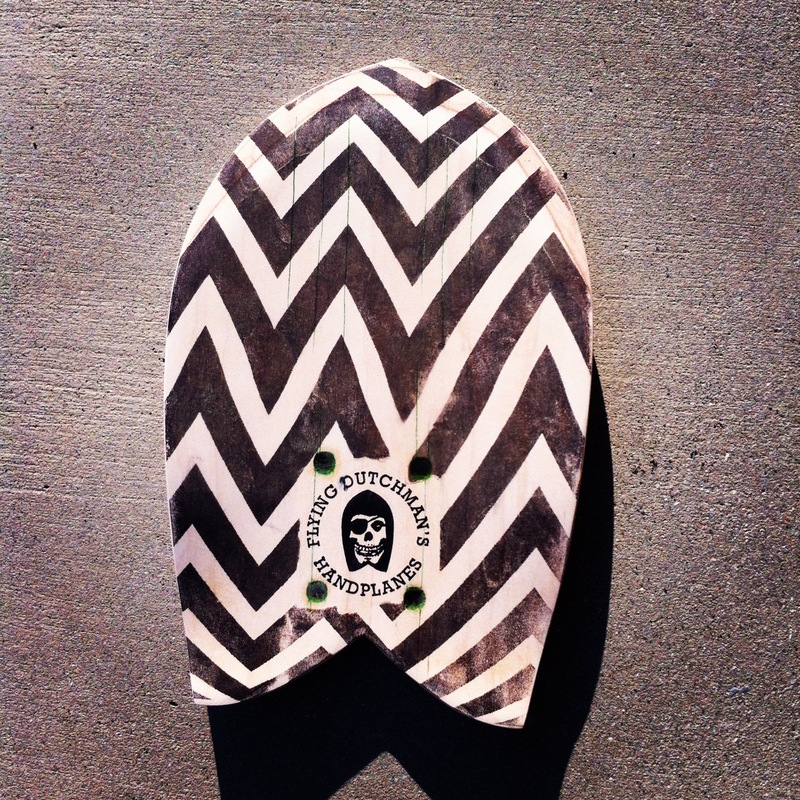 Josh Huffman decided to make handplanes for bodysurfing. 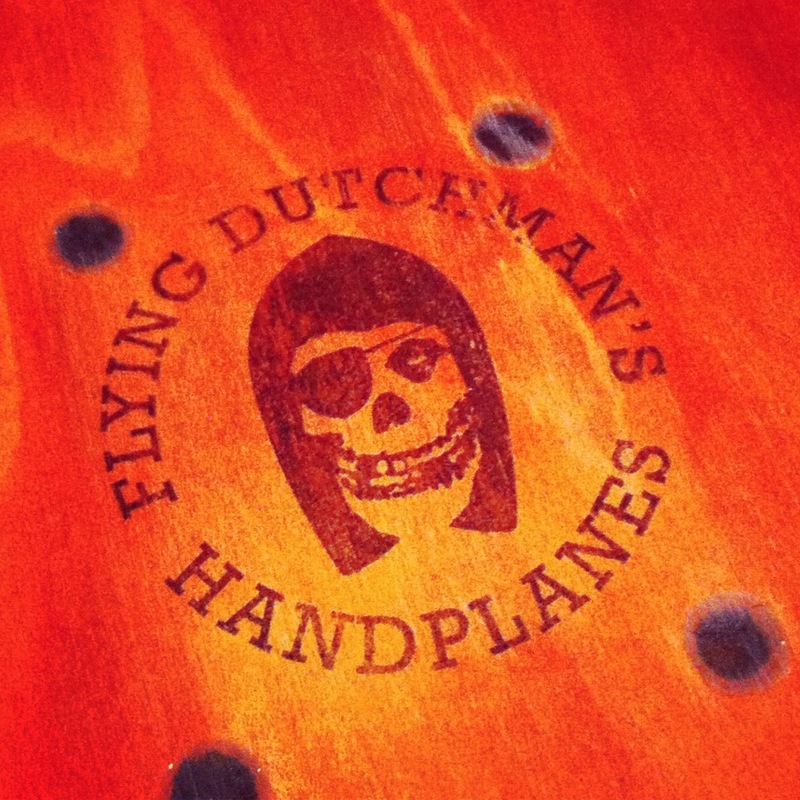 And since skateboard decks already have the ideal concave bottom a good handplane needs, Flying Dutchman’s recycled skateboard handplanes was born. For those who don’t know, a handplane is basically a little surfboard for your hands. They let you catch a wave with ease and let you have more fun. Collecting old boards from friends as well as partnering up with us here at I Ride I Recycle, Josh has been able to perfect his craft with a steady flow of recycled material. That craft includes removing grip tape and surface wax, cutting, shaping, adding a strap anchor and applying a water-based finish. Each handplane is unique with its own scrapes, leftover graphics and stickers. 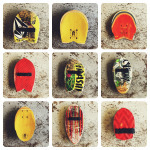 They also come in various models and sizes based on surf conditions and skill level. And it’s catching on. 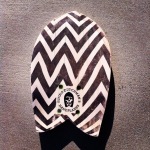 In fact, you can find Flying Dutchman’s handplanes in the legendary Frog House in Newport Beach, CA, Republik of California in San Clemente, CA and SWELL.com. 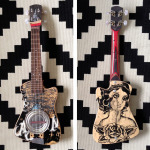 Josh has even been commissioned to do custom awards for Hurley’s Rob Machado Bro AM and has also teamed up with SWELL.com to create giveaways for their bikini truck launch party. He also does custom work if you want to send him your old board. In fact, most of his business is doing custom work. Aside from handplanes, his Flying Dutchman’s brand is now creating ukuleles from old boards. Dubbed the “Sk8-alele,” these are just beautiful, with an amazing and distinct tone and something Josh is excited to bring to a larger market. For more on Flying Dutchman’s Handplanes and the Sk8-alele, visit the website HERE.